LANSING — Before her brother took his own life, Mary Miller-Strobel said she and her father begged every store in town that sold firearms to turn him away. She said the responses were the same: “‘Second amendment, sorry. '” Two months later, her brother, Ben, shot himself with a revolver. Today, Miller-Strobel is 36 and a social worker in Wayne County. She said she still doesn’t understand why her 26-year-old brother shot himself with a gun he legally owned. 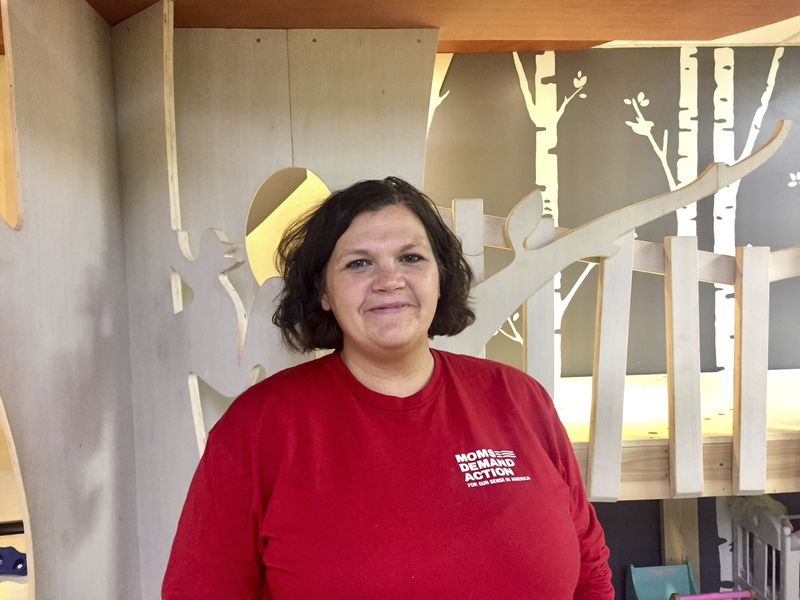 She joined Michigan’s chapter of Moms Demand Action for Gun Sense in America this year and became a champion for “red flag” legislation in Michigan, which would allow a resident’s weapons to be taken if they are a danger to themselves or others. Interest in red flag laws has surged since a February school shooting in Parkland, Florida, left 17 people dead. Documents show that months before the massacre, school officials and police were so concerned about the mental stability of the suspect, Nikolas Cruz, that they wanted him forcibly committed. That never happened. But statistically, the gun tragedy most likely to touch Americans is suicide. Nearly 60 percent of the 38,658 gun deaths in the U.S. in 2016 were people taking their own lives, compared to 37 percent homicides, 1.3 percent law enforcement encounters and about 1.2 accidental, the Centers for Disease Control and Prevention recorded . While tragic, mass shootings accounted for less than 500 deaths in 2016 and 2017, according to the nonprofit Gun Violence Archive. Research suggests the nation’s first red-flag law — passed by Connecticut in 1999 after a disgruntled employee killed four executives inside the state’s lottery headquarters — has become an important tool to prevent suicides. About two-thirds of the weapons seizures there were out of suicide concern, according to a 2017 study. It estimated that Connecticut’s policy stopped one suicide per 10 to 20 gun seizures over 14 years. “If finding that risky person is like finding a needle in a haystack, this gives us a much smaller haystack with a lot more needles,” said Duke University professor Jeffrey Swanson, who led the study. Rep. Robert Wittenberg, sponsor of the red-flag proposal introduced in Michigan last June, said preventing firearm suicide could be the bills’ chief outcome. “This could save lives, and that’s why we’re pushing it,” the Democrat said. However, National Rifle Association member Jerold Garland walked away from his 14-year-old son’s suicide in 2016 with a very different conclusion. The night Garland’s son killed himself, the boy set his coiled headphones on his bed, right beside his glasses. The gun he used was taken from the family safe. Police found the chilling note, “I have everybody fooled,” inside a notebook. Two months later, Garland returned to teaching his concealed pistol license class. Red-flag measures would not have applied to his son because the gun belonged to Garland. However, he said his son is proof that gun control does not thwart people already wanting to die. “As a father who gave my son the knowledge and the ability, I have a hard time blaming the gun,” he said. The red-flag bills in Michigan would ban someone from purchasing or possessing a firearm for up to a year, provided a court deems the individual at risk of self-injury or harm to others. Law enforcement and loved ones as well as former partners, roommates or anyone with “a close relationship” may file a report. The proposal has stalled in the Republican-controlled Legislature despite support from GOP Gov. Rick Snyder. Five states — California, Connecticut, Indiana, Oregon and Washington — had red-flag laws at the time of the Parkland shooting. The National Conference of State Legislatures counts at least 16 other states reviewing similar provisions. Since Parkland, Florida and Vermont have passed such laws. A 2016 study on suicide attempts concludes that firearms increase risk of death by 140 times. In Michigan, 53 percent of suicide deaths were inflicted by gun, according to 2016 CDC data. Cathy Barber, who directs the Means Matter Campaign that educates the public about firearm suicide prevention, said one thing is certain: People who want to take their own life usually do not remain so. Only 2.3 percent of people who tried to kill themselves die from another attempt, according to the previous study from 2016.